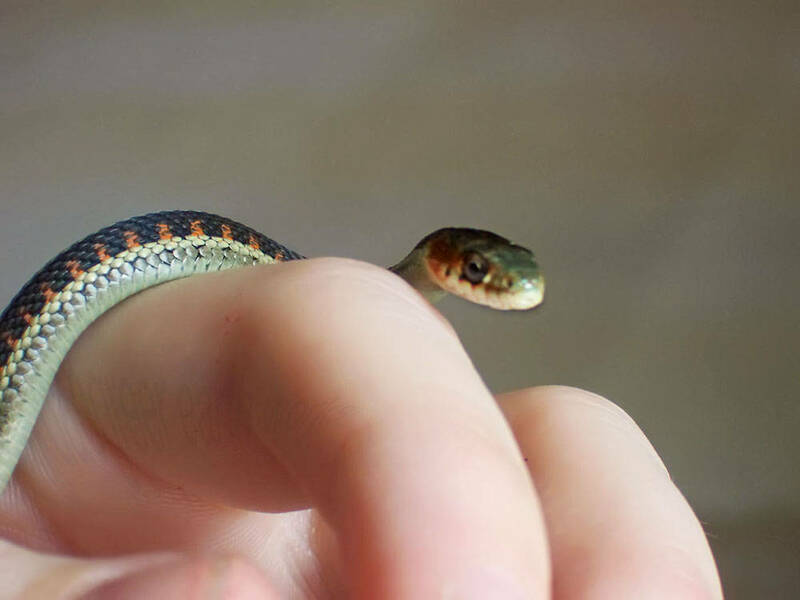 This is a baby red-spotted garter snake (Thamnophis sirtalis concinnus), native to my little corner of the world. He was the smallest of his... litter... so his official name is Minimus, but he will always be "runty" to me. Image is 1380 x 1035 pixels.